At Pharm-Olam, our passion is to help create a healthier world by supporting sponsors like you with clinical trial conduct in Phases I-IV. 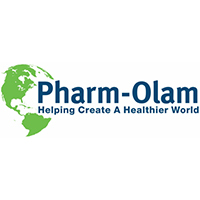 Pharm-Olam is a global full-service CRO with operations in more than 65 countries. In business for over 20 years, we have extensive expertise in Infectious Disease and Vaccines as well as Oncology and Rare/Orphan indications. For further information about Pharm-Olam, please visit www.pharm-olam.com.